Designed for those who appreciate the flavor of charcoal grilling, the Asado grill from Coyote is a kamado-style grill that can grill, smoke or sear with ease. This grill is constructed from high grade ceramics which offer excellent heat retention, allowing you to cook at consistent temperatures for hours on end. 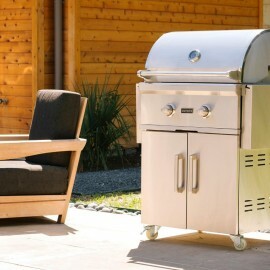 The Asado grill offers 254 square inches of cooking area on a stainless steel grate. 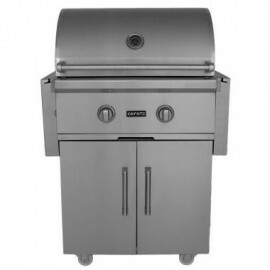 A dual-vent airflow system allows for precise control of cooking temperatures that can range from a smoking low, to a steak-searing high, maintaining temperatures for hours and requiring less fire tending than traditional smokers. Easily keep track of cooking temperatures with the integrated thermometer. Built-in folding wood side shelves allow you to keep serveware or grilling tools nearby while cooking. 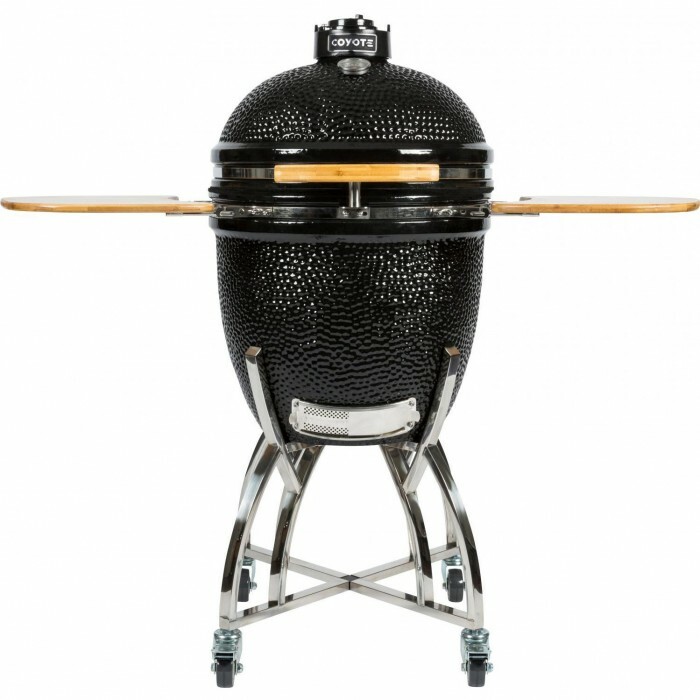 This kamado grill includes an ash tool, ceramic feet for built-in installations, and touch-up paint.